Guns of the Apocalypse Premiere! Minnesota director Christopher R. Mihm expands his cinematic universe with the debut of his thirteenth feature film in as many years. 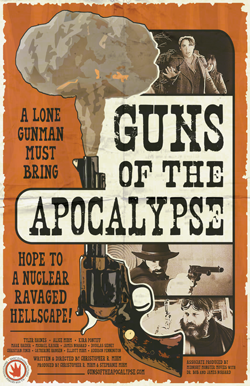 ARDEN HILLS, Minn. – Sept. 4, 2018 – Described as a “post-apocalyptic spaghetti Mid-western,” Guns of the Apocalypse is a loving homage to the foreign-made westerns and B-grade horror movies of the early 1960s. The film will hold its world premiere on Wednesday, September 26 at 7:30 p.m. (doors open at 6:30 p.m.) at the historic Heights Theater, 3951 Central Ave. NE, Columbia Heights, MN. Described by the director as an “endurance test,” Guns of the Apocalypse was shot almost entirely outside during the cold winter months in Arden Hills, MN and Chisago City, MN. In addition, Guns of the Apocalypse is the first feature film to include scenes shot in Eleva, WI. The film was completed using Minnesota- and Wisconsin-based talent and funded entirely by small donors and fans of Mr. Mihm’s previous work. The films of the Mihmiverse, a term coined by fans to describe Mr. Mihm’s catalog, screen across the globe, are streamed thousands of times daily, and have become a worldwide cult phenomenon. As a result, Mr. Mihm has become a familiar face to sci-fi and horror convention-goers in recent years by appearing as a guest at numerous events across the United States. Inspired classic movies he watched with his father as a child, Mihm produced, wrote and directed his first film, the multi-award winning The Monster of Phantom Lake, in 2006. 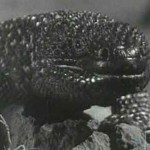 He has since produced the award-winning cult classics It Came From Another World! (2007), Cave Women on Mars (2008), Terror from Beneath the Earth (2009), Destination: Outer Space (2010), Attack of the Moon Zombies (2011), House of Ghosts (2012), The Giant Spider (2013), The Late Night Double Feature (2014), Danny Johnson Saves The World (2015), Weresquito: Nazi Hunter (2016), and Demon with the Atomic Brain(2017). Mr. Mihm adapted his first film into an award-winning stage musical, The Monster of Phantom Lake: The Musical!, which debuted in Summer 2016 at the Historic Mabel Tainter Center for the Arts in Menomonie, WI. For more information and to get your tickets, visit SaintEuphoria.com. Coming this Friday to BadMovieRealm.com, a review for the direct-to-video, sci-fi flick, Future Force! The late, great David Carradine stars as John Tucker, a badass bounty hunter with a secret weapon…a remote-controlled murder glove! Say what you will about David A. Prior and Action International Pictures, they knew how to make quality schlock. Captain Company Labor Day Sale! 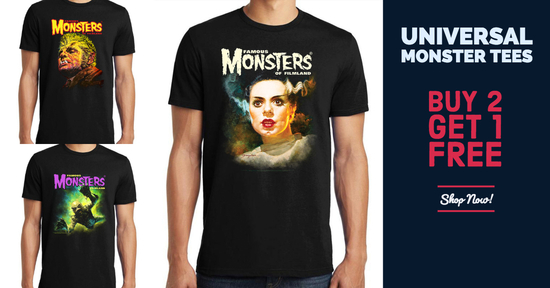 All Universal Monster tees are buy 2 get 1 free! Visit Captain Company now to stock up on some classic Universal Horror tees!